The UK immigration system is a complicated one. There are a number of applications that you may be able to make depending on your circumstances. Our experience has shown us that by properly preparing cases from the outset they stand a better chance of success and if an appeal has to be lodged then the chances of success are higher. BRPartners offers expert advice regarding all applications for leave to remain, permanent residency and British citizenship under the immigration and nationality rules. We can advise on and represent you in all Immigration and Nationality options available to you. Our service includes assistance in respect of all categories under the Immigration Rules including asylum, required documentation for in-country applications and visa applications as well as application procedures. We are expert advocates and excel in appeals against refusals, providing a professional and thorough service, fully preparing your case and then attending court with you and advocating on your behalf. We can assist with your family members’ visa applications so that they can join you here in the UK. There are a number of such applications with which we can assist, such as, spouses and civil partners, unmarried partners, elderly relatives, children and adopted children. We also assist with business visas, working visas as well as student visas. We can also assist with extensions of your stay, whatever type of visa or leave to remain you have. We can assist with applications for indefinite leave to remain should you qualify for it. Even if you have applied for a visa or an extension of stay yourself and it has been refused, we can assist you in appealing against that decision. Our barristers will come to the appeal court with you and we will prepare your case fully on paper beforehand and ensure that this is with the immigration judge before the hearing. We can assist with all types of European applications such as residence cards, worker’s registration, permanent residence and residence for family members. We can assist with appeals against refusals of these applications even if you have made the initial application yourself. Our barristers will assist you before the Immigration Tribunal and we will fully prepare your case in advance. We can help with applications for naturalisation and registration of minors as well as UK ancestry applications. 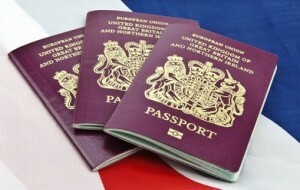 We are fully conversant with the process of obtaining British citizenship whatever your personal circumstances. We are experts in the field of asylum and human rights. We have vast experience in this field and have assisted people from all nationalities and backgrounds. We can advise on and prepare fresh claims for asylum and we will give you an honest assessment of your prospects of success. We are also very experienced in the field of detention and deportation. We will give you an honest assessment of your chances of success in this very difficult and challenging area of law. We can prepare and present appeals in court whatever your particular case. We have a wealth of experience in the field of bail applications. We will only advise you to make a bail application to the Tribunal should we believe that your case has at least a 50% chance of succeeding. Our barristers have a very good record of success in this field and we wish to maintain this reputation. Error: Error validating access token: Session has expired on Saturday, 22-Sep-18 06:40:30 PDT. The current time is Monday, 22-Apr-19 21:04:28 PDT.